So , today I am going to review a prize I won in a giveaway :D, actually I won this along with two other fabulous things ! 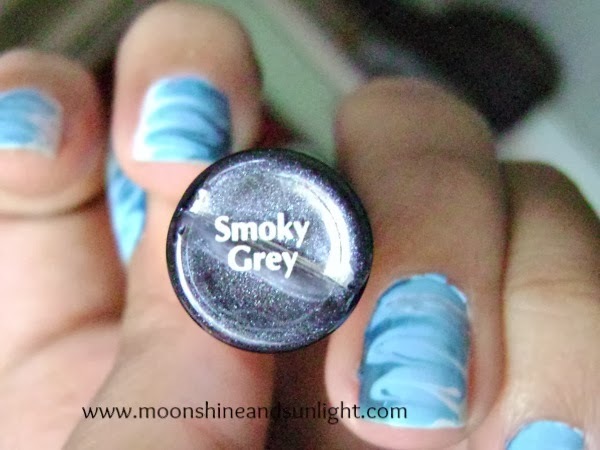 You can check them out here and I have reviewed the eye shadow already here. Today it is turn for the eye liner! 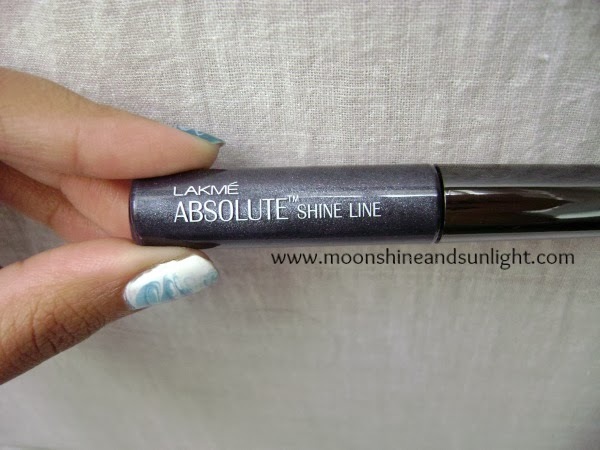 This post had been pending for a long time :D.
Lakme Absolute shine line in Smoky Grey! 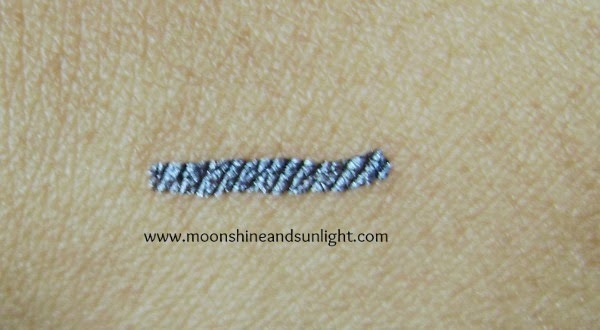 This is an awesome liner as an alternative to black! And sometimes just a little pop of color on your eye lids is really necessary at times and applying eye shadow always is a bit tiring! I like the shades from Lakme I have another shade which I will review after this. Package:- The box is a sleek black and silver box which I like very much sassy and classy altogether. The shine line bottle is a plastic bottle. The container, the cap is plastic so very easy to carry lightweight and the container is transparent so the color is also clearly visible. The cylindrical bottle is very sleek and small. Brush:- The application is very smooth and easy due to the long handle of the applicator and a very fine and smooth brush . 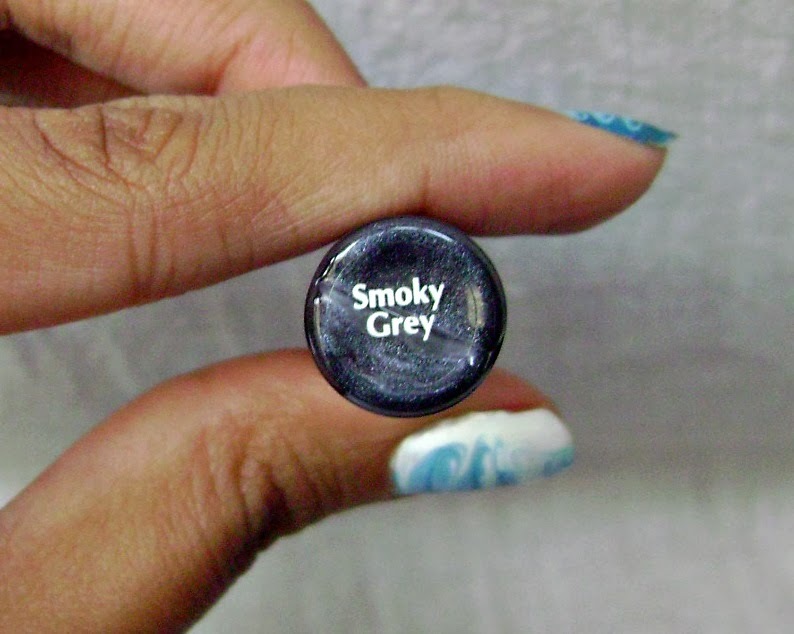 The brush literally glides over your lids leaving a rich opaque color. Awesome brush for drawing precise lines. Color:- A gunmetal black which is a great alternative to black , as the shine is “shine-y” not glittery , which makes this my favorite alternative to black. Product:- The consistency is just right glides smoothly so easy to apply, dries very quickly so no time to make any mistake! Stays for quite a long on me. Almost 12 hours easily! Slowly starts to get flaky after almost 10 hours. Not much detail on the pack of the liner. okies will try to give the eotd from the next review :) !! Scared of my dark cirlces!! uuhhh! Nicely reviewed! Love the shade!